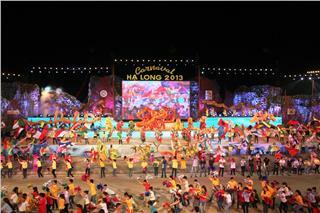 Da Nang International Fireworks Festival is held periodically every 2 years. 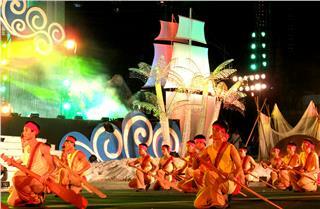 It is widely known as a competition of fireworks in Da Nang. It is seen as a banquet of sounds, lights and colors to attracting the attention of thousands of tourists and millions of audiences. The Da Nang Fireworks Festival is not just an impressive cultural event and offering a unique identity to Da Nang, but also a specific tourism product with high artistic characteristics, and great stature in the region, which attracts a great number of domestic and foreign tourists. By romantic Han River and peaceful night sky of a central coastal city, tourists will have a chance to contemplate spectacular and colorful fireworks performances with impressive soundtrack showing featuring story and ideas of representatives of other countries listed in the world art fireworks. 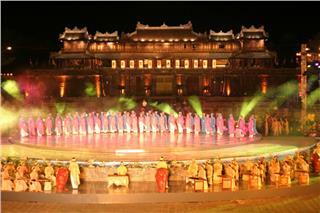 In the framework of the Vietnam festival, many other ancillary activities also take place such as exchanges of culinary festivals, light art decoration, flower-boat parade, dropping flowers on Han River, displaying stone statues, folk games performance, and activities of water sports, music and fashion. 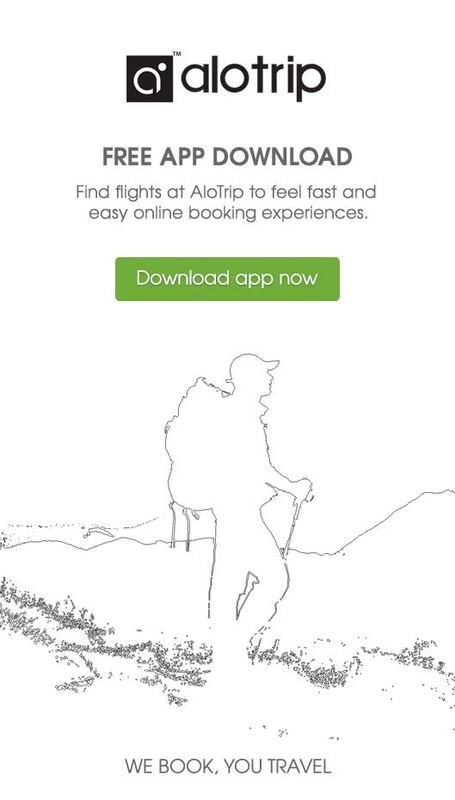 These activities fascinate the attention of many tourists throughout the country and cross the world. 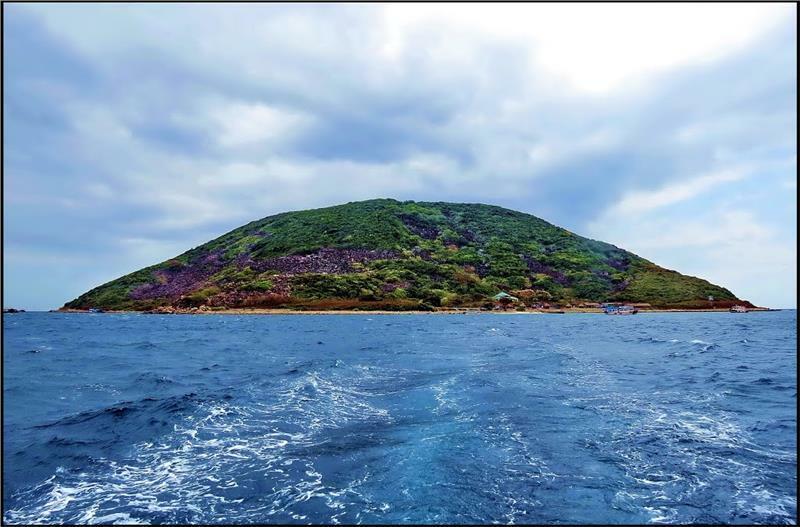 In addition, tourists can also explore tourist attractions of this beach city as Ngu Hanh Son Mountain, Non Nuoc Stone Village, Da Nang Museum, and Museum of Cham Sculpture; or participate in diving tours, fishing with fishermen; discover Ba Na Hills, and explore green space of Son Tra peninsula. 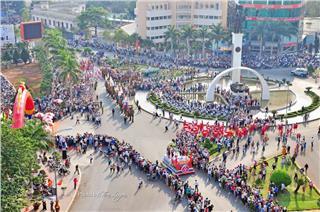 It can be said that the fireworks festival in Da Nang becomes a famous brand of Da Nang City and an annual cheery meeting place. Da Nang is chosen to organize the fireworks festival, as it is a beautiful city by Han River with the outstanding charm unmatched with other beach urban area. Located between three World Heritages, Hue, Hoi An Ancient Town and My Son Sanctuary, Da Nang has a highlighted role in the region. It is a place to welcome, serve, and transfer tourists. Da Nang City also has many beautiful landscapes that tourists can hardly forget after visiting this city. 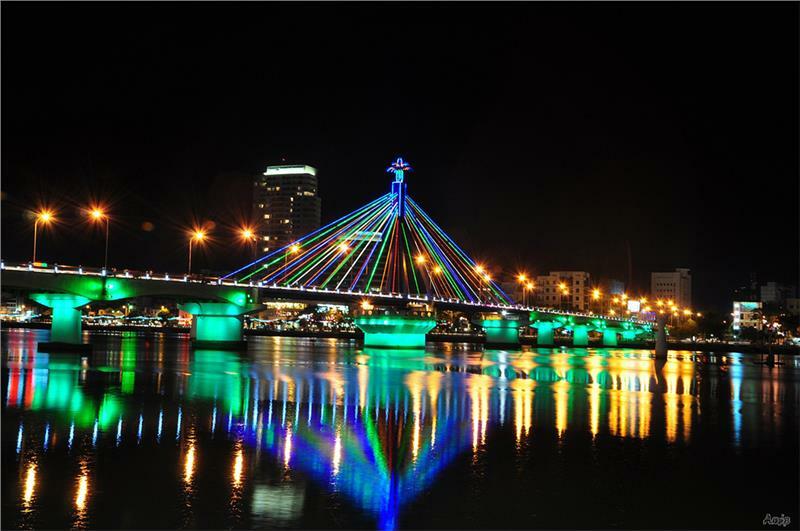 In Da Nang, Han River and Han River Bridge should not be missed when coming to the city. The bridge is a symbol of new life and aspiration of the city. It seems like all the poetic beauty of Han River flawlessly revealed by Han River Bridge. That is why Da Nang International Fireworks Competition is held in this place. 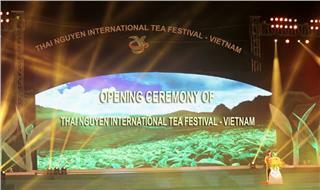 The Vietnam festival was firstly held in 2008; and annually took place from 2008 to 2013. 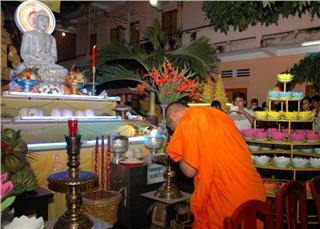 However, the festival witnesses a change in time of organization. 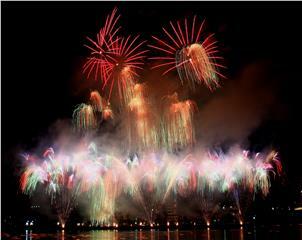 The fireworks festival will be held every two years (2013, 2015…). 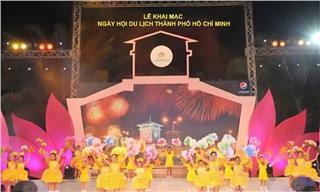 The festival is hosted by Da Nang People’s Committee. 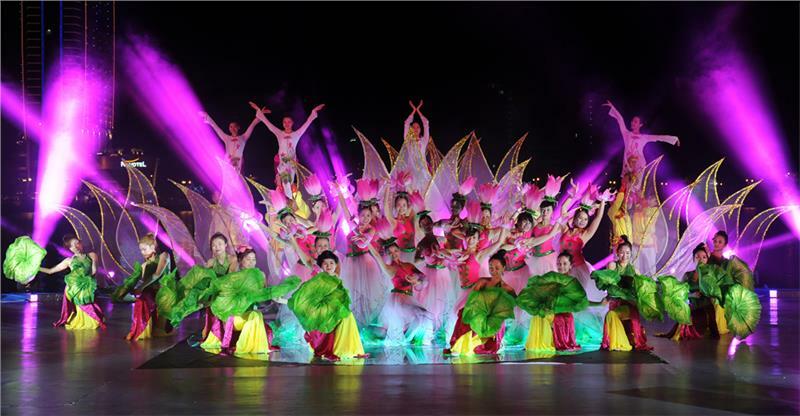 There are about three or four international firework teams participating in the competition. 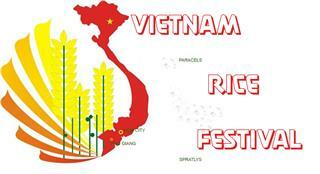 The festival was firstly recorded in Vietnam Record for the first international fireworks competition held in Vietnam, and the largest assembled crowd in Vietnam with the capacity of over 25 thousand of seats. 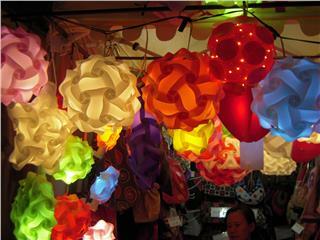 As being one of new international festivals in Vietnam, the festival attracts the attention of many international teams and tourists of both domestic and international. Over the years, teams from France, Italy, The United State and China are regular participants in this competition. 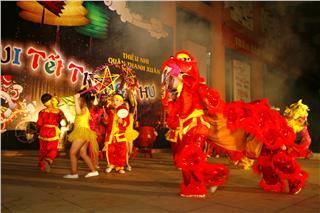 The places of fireworks performances are Han River Harbor, Tran Hung Dao Street, and Thuan Phuoc Bridge. 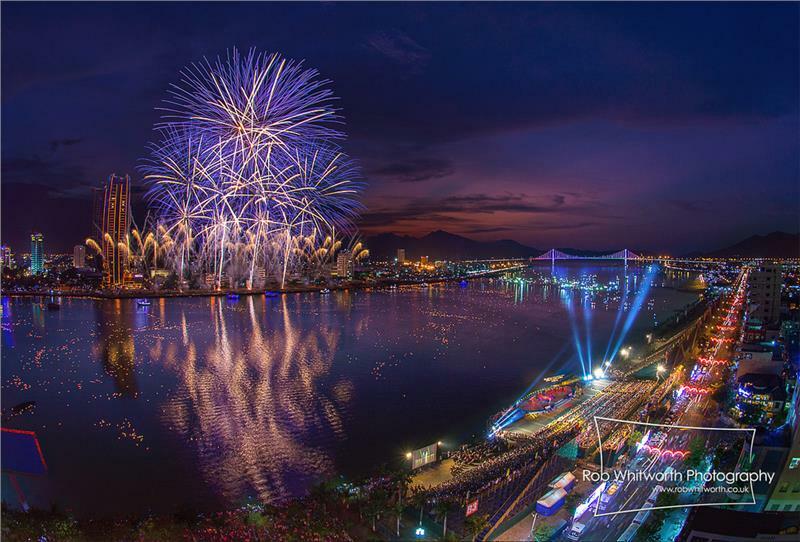 Tourists and local people can contemplate wonderful performances of fireworks from international teams in some places such as Bach Dang Street, Tran Hung Dao Street, Han River Bridge, Thuan Phuoc Bridge, and on some cruises allowed operating on Han River. As usual, each team will perform between 20 and 22 minutes in accordance with the theme of the Da Nang International Fireworks Competition. The fireworks festival often lasts for two days at the end of March or April, or even May (2015). There are many exciting activities and great performances taking place, including artistic performances, welcoming VIP guests, opening ceremony (on the first day), official concert, fireworks performances of teams, and closing ceremony (on the second day). Interestingly, there are music shows as breaks between the performances of each team. Besides, there are other ancillary activities during the competition. There are parades of boats of flower on Han River, display of Non Nuoc (Mountain and Water) stone statues, fireworks competition on computers, fascinating artistic programs, folk games, culinary and tourist introduction, souvenir shops, cyclo parade, street music shows, and tours. After five years of organization, the fireworks competition is one of Vietnam festivals appealing a large number of tourists coming to the city in particular and to Vietnam in general. Annually, the number of tourists visiting Da Nang increases rapidly, especially in 2011 (rising by three times in comparison with that in 2010, from 100,000 to 300,000 tourists). 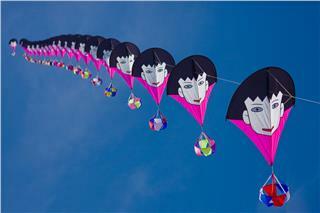 At the same time, the festival contributes greatly into the development of tourism and services of the city. The scale and level of profession are more highly appreciated. 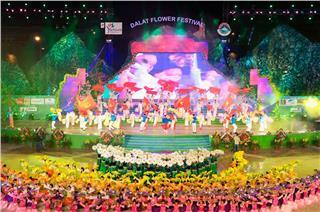 The fame of Da Nang International Fireworks Festival is widely promulgated to the world.